You spend each summer moving your sprinkler from spot to spot in your yard, trying to evenly distribute water across your grass. No matter how many times you water or how effective your sprinkler is, there are always a few brown spots dotting your lawn. At Advanced Landscaping and Sprinklers, we want every homeowner to have a beautiful, lush grass all summer long. While green grass is still a few months away, you can begin planning your new sprinkler system installation in 80521. We’ll help you plan the perfect sprinkler setup for your lawn, evenly distributing the sprinkler heads throughout your yard. For adequate coverage, you want to make sure that there are sprinkler heads in each corner of your lawn if you have a large area, evenly spaced across the length and width of your yard. We’ll explain how to program your new system to run when it’s most appropriate and if your community has water restrictions during the summer, that you’re not using more than the allotted water supply. After a few weeks of, you’ll notice that your grass is being adequately watered. 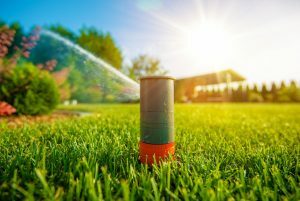 New sprinkler system installation in 80521 can revive your lawn, but if you think it’s time to re-sod or update your landscaping, we can help with that as well. Our goal is to make your yard as beautiful and as functional as possible, and if a new sprinkler system can achieve that, we’ll gladly get to work for you. Call 970-305-3206 or contact us online for a free estimate.